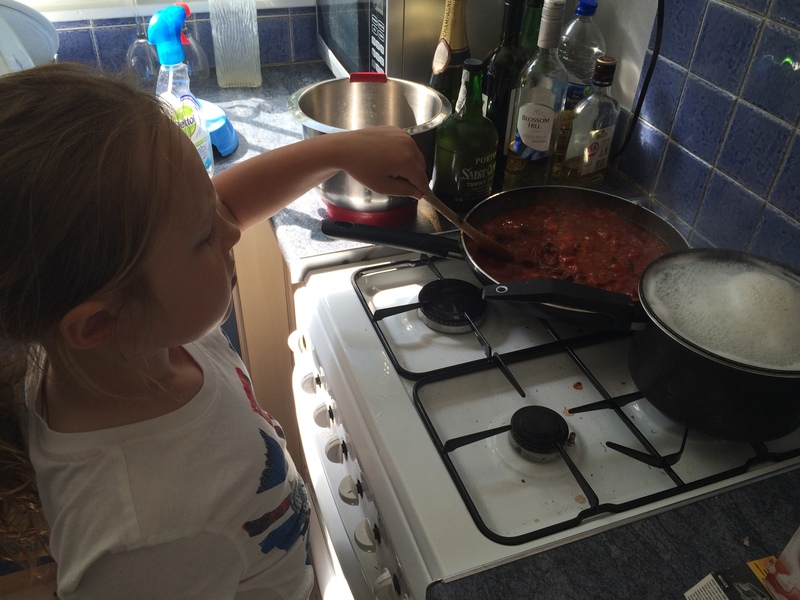 She is 7 and likes cooking with daddy which is great and it’s a great way to spend quality time together. For all you parents out there little recipes for you and the kids , quick recipes and you'll have fun as well !!! be careful of hot water. 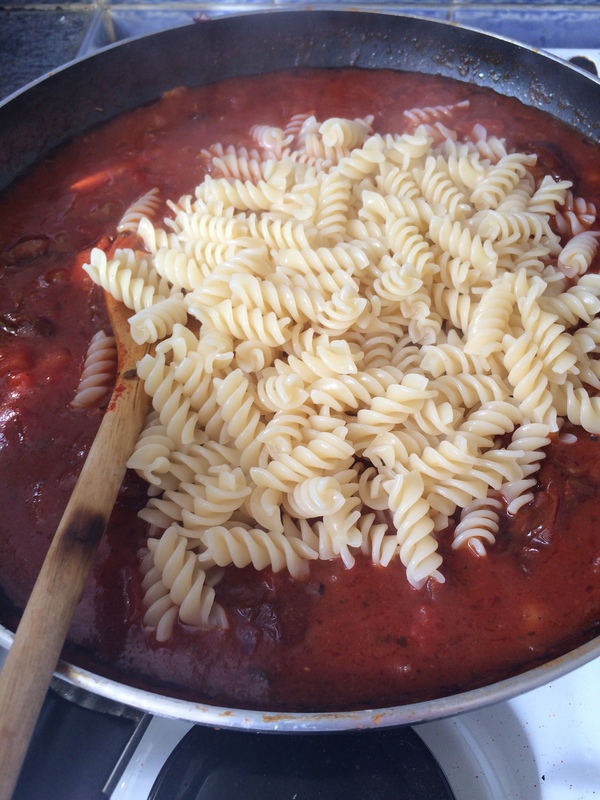 Bring water to simmer and then pop the pasta in . While this is cooking you can start on the ragout . Next chop the basil and add in and stir until cooked , you can season to taste . 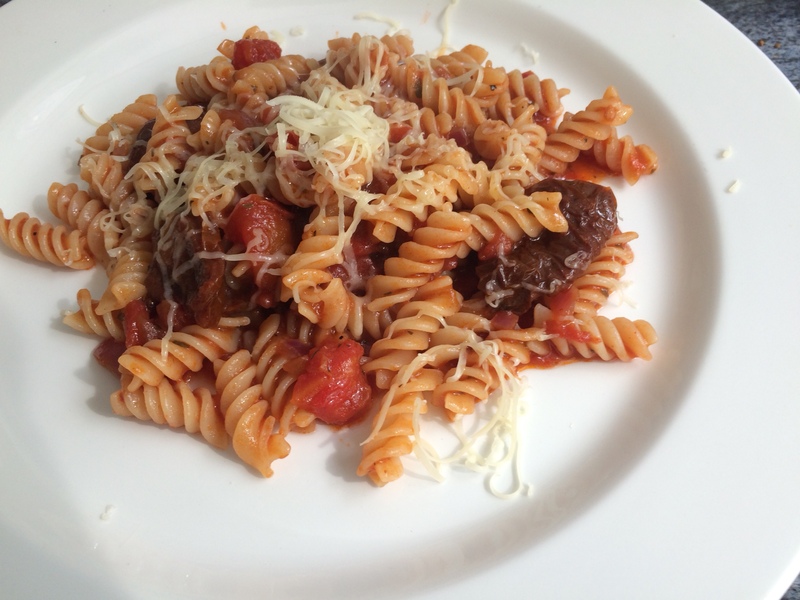 The pasta should be ready , pass through a strainer and add to the ragout . Stir again and serve .